This could be hilarious but it is no longer news that some churches in Nigeria are fond of remixing circular songs to fit into the Christian gospel songs. They do not only successfully remix the songs, they become a trend in other churches. Such was the case of Olamide’s latest song Wo which was recently banned by the Nigeria Broadcasting Commission (NBC). 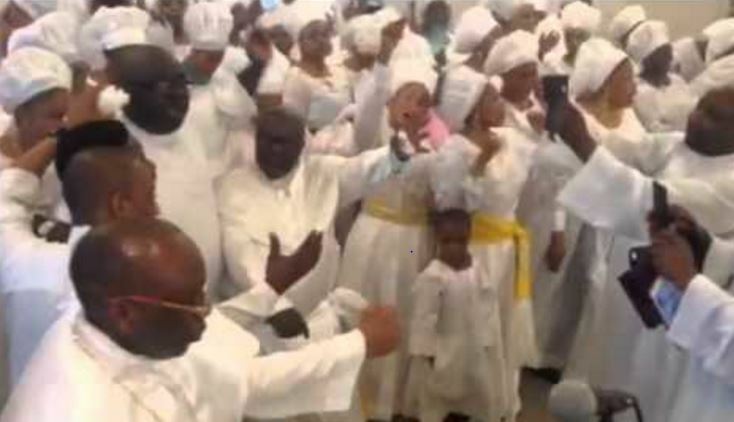 Some Celestial Church members were seen singing and dancing to the song during worship. The choir master took a particular verse of the song and remixed it to fit into a gospel song and the entire church went into a frenzy of dance.